This design stands as one of my favorites. On a trip to the San Francisco flower mart to scout the materials, I immediately fell in love with these Manzanita branches. They have a skin that is incredibly dark cranberry color. Their shapes are twisted and strong. They are just beautiful all on their own. Finding a few thinner softer branches that could be manipulated and curled allowed me more control over the shape and flow of the design. To keep the magical feel, I spray painted them silver and a turquoise blue. Flowers of white linen and blue silk. 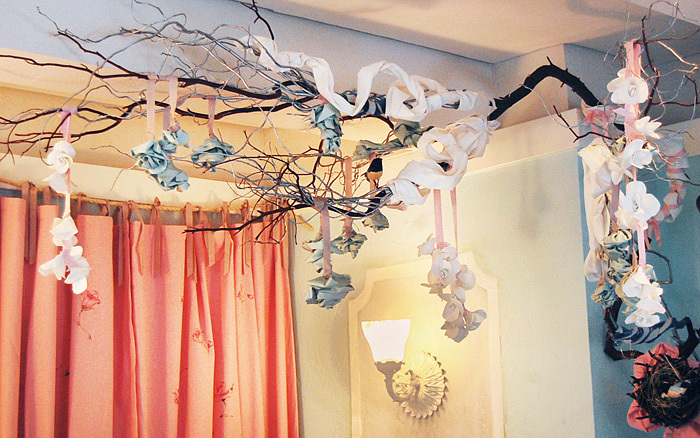 With some strategically placed eyehooks and some wire, I was able to build this fantasy tree branch by branch. 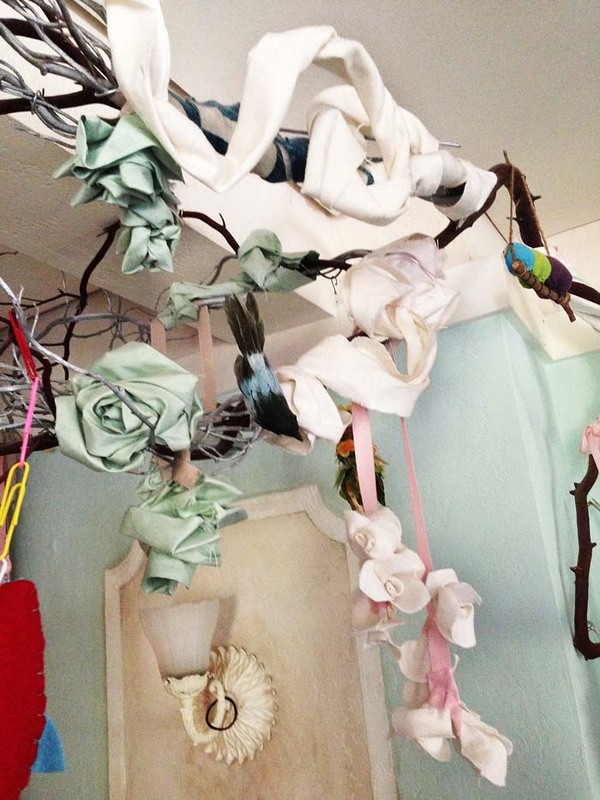 Once the shape was made, several bird’s nests and dozens of linen and silk flowers were constructed and hung over the branches on vintage ribbon. (I’ll post a DIY on that in the future.) It was a lot of work. And worth every bit of it. But the best part is what happens after I leave. 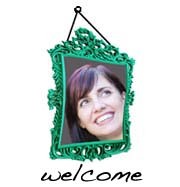 In time, ornaments, dried flowers, garlands, dried berries and other personal items are hung in the tree. Bit by bit, month-by-month, year-by-year, it becomes a tool of self-expression and individuality. Filled with trinkets of memories, the magic and fantasy become reality. It becomes an unplanned, unspoken collaboration between the kid who sleeps under it and me. Maybe that sounds a little sappy and sentimental. But I’m cool with that.